As part of the Stencil promotion I have a card to share with you using the lovely Imagination Crafts Bay Leaf stencil available from Lisa B Designs. 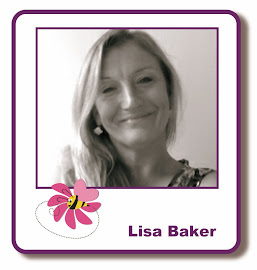 For more details about the promotion and how you can be entered into a prize draw, pop over to Kirsten's blog post from Monday. The card blank I used was a 148x148mm scallop edge card blank. I scored the front panel in half to form a Z card. The photos above is the card laid out flat and the photo below is the card folded. I cut a square of patterned lilac card. 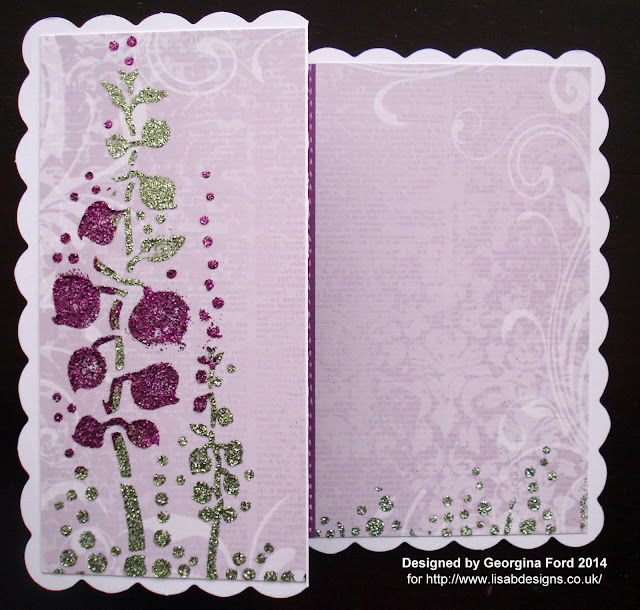 I used the Bay Leaf stencil and Pastel Green and Old Rose Sparkle Medium to create the image onto the lilac card. To get the two-tone flowers I first added the Pastel Green Saparkle Medium through the stencil and left it to dry. 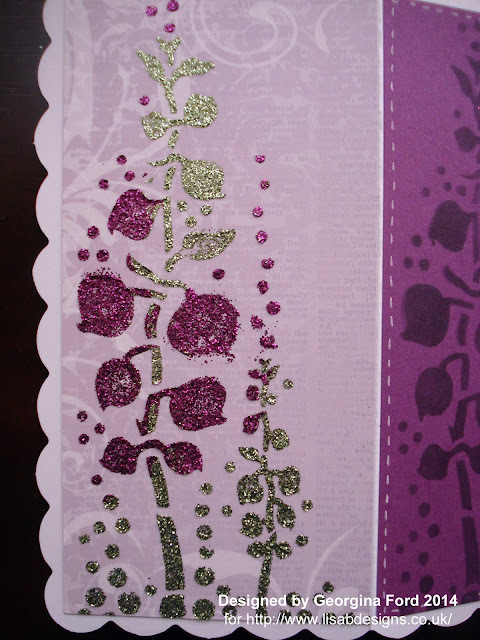 Once dry I repositioned the stencil and added the Old Rose Sparkle Medium. I cut the lilac card into two pieces once the Medium was dry. I added one piece to the front of the card and the other inside. I also added a strip of purple card along the edge of the inside panel. 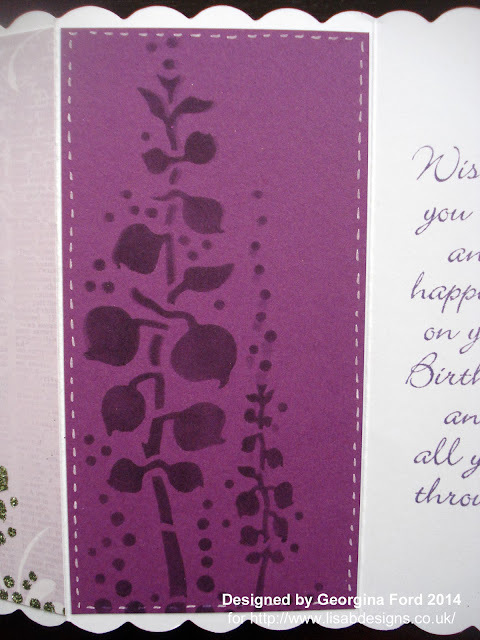 I also create a stencilled panel again using the Bay Leaf stencil for the inside of the card. For this panel I used Dusky Concord distress ink pad to colour through the stencil. I used a small piece of Cut 'n' Dry foam to add the colour through the stencil. I also stamped a sentiment inside the card. The sentiment stamp is part of Hobby Art's Birthday Collection stamp set. To finish I added white faux stitching. 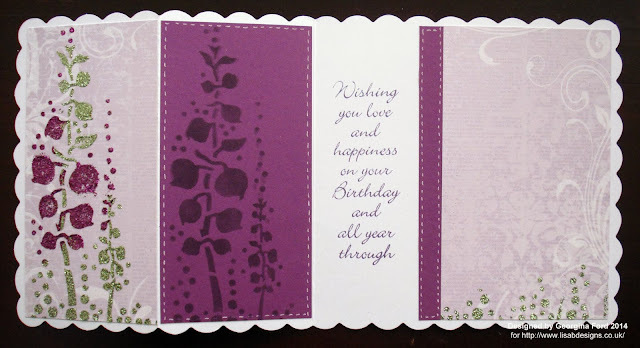 Gorgeous, love the card design and the beautiful colours you have used. Fabulous sentiment too. Stencil and Sparkle medium... great partners. Lovely creation! This is beautiful. Love the card shape and the use of the stencil.